If your cultural curiosity has been fueling your sense of wanderlust lately, Albuquerque is without a doubt your next must-visit destination. With cultural traditions that are centuries old and diversity that stems from all over the world, Albuquerque is certainly the city to feed your hunger for cultural experiences. Discover these 6 ways to experience culture in Albuquerque this spring and summer! 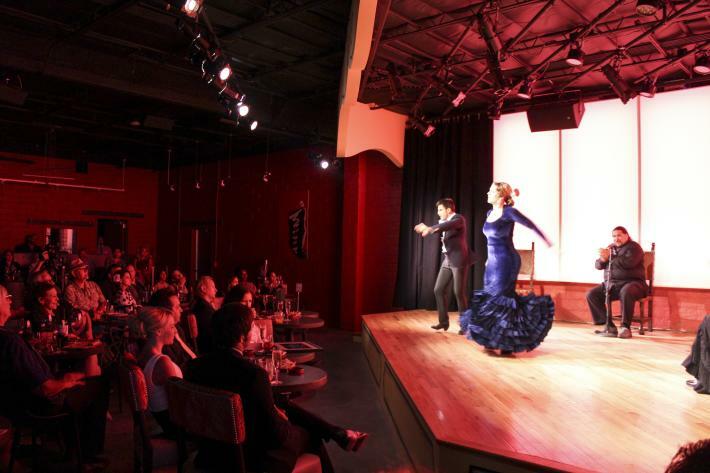 As the flamenco capital of the country, Albuquerque offers authentic, live flamenco three nights out of every weekend, all year long! At the Tablao Flamenco inside of Hotel Albuquerque, you can experience the rumble of heels as they drum the wooden floors, the passionate picks of the guitar, and the heart-wrenching lyrics of world renowned flamenco artists in an intimate setting while you sip on Spanish-inspired cocktails and taste small-plated tapas during the live performances. If you’ve had a taste of the Tablao and realized that you’ve fallen in love with the art of flamenco, then you mustn&apos;t miss the Festival Flamenco de Alburquerque, the largest and longest-standing flamenco event outside of Spain itself. World-class flamenco artists travel to Albuquerque from all across the globe to perform, to teach, and to share the art of flamenco in its truest and most authentic form. Not to mention, the colorful costuming will take your breath away! 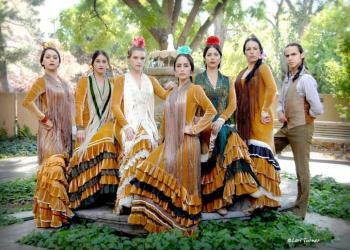 This event is put on by Albuquerque&apos;s very own National Institute of Flamenco. 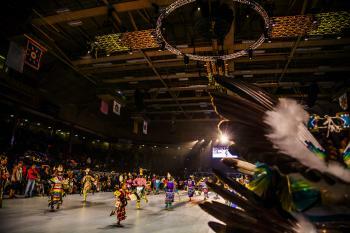 Gathering of Nations Pow Wow is North America’s largest pow wow and brings in over 3,000 attendees and over 500 nations to Albuquerque to celebrate a culture, a heritage, and a way of life. This beautiful event features music, dancing, food, authentic jewelry and wearable art, and even the annual Miss Indian World pageant. Additionally, this immersive event welcomes both spectators and participants alike. 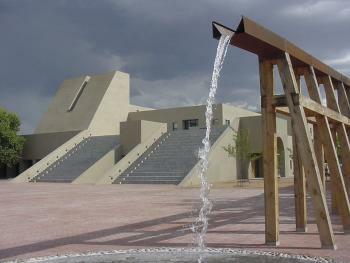 The event runs from April 26 - 28 inside Tingley Coliseum at EXPO New Mexico: Home of the State Fair. 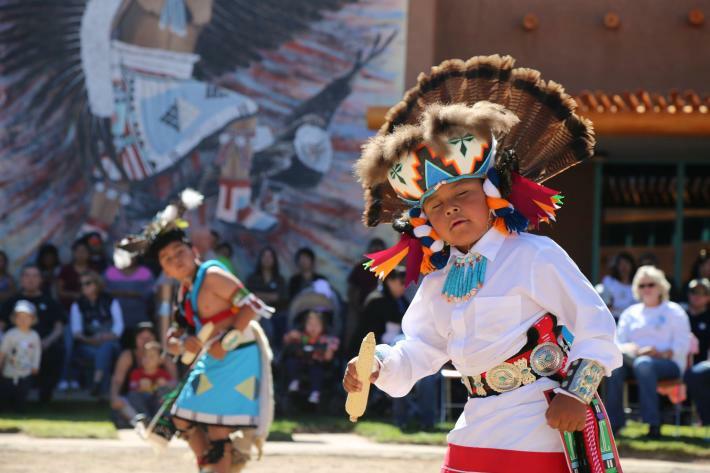 Just like the Tablao series, at the Indian Pueblo Cultural Center, you can experience authentic Native American dances each Sunday of the year. Each week these traditional dances are performed by a different tribe from one of Albuquerque’s surrounding 23 tribes, which include 19 Pueblos, three Apache tribes and the Navajo Nation. The heartfelt, moving dances take place in the facility’s courtyard where visitors can watch. Bring your camera, because photos without a flash are allowed and video is permitted at the discretion of the performers. 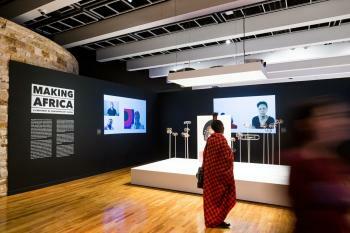 From now through the first week of May, the Albuquerque Museum is offering a traveling exhibit that presents Africa as a hub of experimentation generating new approaches of worldwide relevance as a force for new discussion within the 21st century. Featuring over 120 artists, here you can learn about a new generation of entrepreneurs, thinkers, and designers, all from within Africa, who approach the world with a unique and unexpected point of view. Opening on May 4 and continuing through February 28, 2019, the National Hispanic Cultural Center releases a new exhibit that seeks to examine race and identity in New Mexico through a space for artistic expression. The 26 newly-created pieces of artwork delve into race and place through an intersectional lens alongside gender, sexuality, class, nationality, and citizenship. If it’s culture you’re craving, Albuquerque has got your cure. In between events, make sure to dine at some of Albuquerque’s many New Mexican restaurants and eateries where you can discover how these varied cultures have influenced the authentic and one-of-a-kind cuisine of New Mexico. From the city’s rich Spanish heritage to its thriving Native American community, you’re sure to experience something completely unique in Albuquerque! Tracy is a born-and-raised Albuquerque native who spends her days hiking the Sandias with her hound dog, cruising around in her 60-series Land Cruiser, cooking, drinking local IPAs with friends on her favorite Albuquerque patios, traveling, and will take both red and green with an egg over medium. She discovered her love for writing at the age of 8 and finds Albuquerque’s unique and boundless character to be the perfect creative muse. Tracy is the Social Media & Content Specialist for Visit Albuquerque. The opinions shared on this blog are her own.